Ironman first stamped its presence in southeast asia nine years ago when it announced its first event in the Philippines. On its 10th year anniversary, Ironman will hold the 1st-ever full Ironman event in the Philippines via Ironman Subic Bay, to be held June 3, 2018. IRONMAN announced today the addition of the Century Tuna IRONMAN® Philippines triathlon in Subic Bay, Philippines. The race is owned and organized by Sunrise Events and will be a special edition for one year only. It will mark the 10th anniversary of the first IRONMAN 70.3 event in the Philippines, which took place in Camarines Sur on August 23, 2009. Subic Bay has provided an excellent race course for the IRONMAN 70.3 Subic Bay event for the past three years. It is a superb destination to visit – located on the west coast of the island of Luzon in the Philippines, easily accessible from Manila. 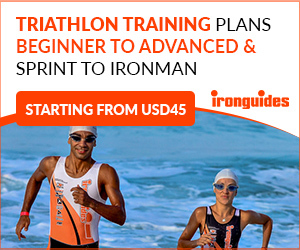 The growth in popularity of IRONMAN triathlon in the Philippines is set to continue through this new addition as Subic Bay has become a destination for local and international IRONMAN athletes over the years. The Century Tuna IRONMAN Philippines will be the first full distance IRONMAN race held in the Philippines. “The enthusiasm around IRONMAN races in the Philippines is tremendous – from both spectators and participants,” said Geoff Meyer, Managing Director for IRONMAN Asia. “We’ve had this project of bringing a full-distance IRONMAN race to the Philippines for a long time. We are really excited about this special edition race and look forward to June 2018.” The Century Tuna IRONMAN Philippines will aim to build upon the successes of the Century Tuna IRONMAN 70.3 Subic Bay and provide athletes with a challenging, yet beautiful course to tackle. Athletes will begin their IRONMAN journey with a one-loop, 3.8-km (2.4-mile) ocean swim in the calm, pristine waters of Triboa Bay, starting and finishing at ACEA Resort, which will also play host to the first of the split transition areas. 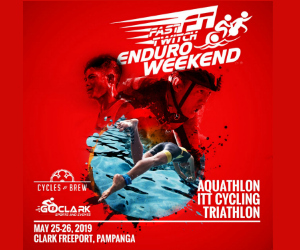 Once onto their bikes, athletes will head out of Subic Bay and onto the Subic-Clark-Tarlac Expressway (SCTEX) for a fast and flat two-loop, 180-km ride (112-mile) which will bring riders back into the T2 at Remy Field in downtown Subic Bay. The 42.2-km (26.2-mile), two-loop marathon run will take in some of the best coastal views that the area has to offer and will be a buzz of energy with local supporters lining the streets to cheer the athletes home. “It has been 10 years since the first IRONMAN 70.3 race was held in Camarines Sur. From 583 participants and one race in 2009, the sport has grown by leaps and bounds, with multiple races all over the Philippines. We at Sunrise Events are happy to be at the forefront of this triathlon renaissance and are proud to organize the 2018 Century Tuna IRONMAN Philippines in order to showcase one more time the best the country can offer!” said Wilfred Steven Uytengsu, Founder of Sunrise Events. The 2018 Century Tuna IRONMAN Philippines will offer a $25,000 USD professional prize purse and 30 age-group qualifying slots for the 2018 IRONMAN World Championship in Kailua-Kona, Hawai’i.